It was an honor to preach for Pastor Dusty Ray, who pastors the Heartland Baptist Church of Murfreesboro, Tn., today. We had a great Lord’s Day! I was reminded tonight that Pastor Ray’s dad and I attended Hyles-Anderson College of Crown Point, Ind., at the same time. I had totally forgotten about it and then it dawned on me that if that be true, then with Pastor Ray being the same age as my son Bob, and Lynnea being the same age as my daughter Kim, that they were in the same class in the Hammond school system. Wow! We had a lot to talk about tonight after church. You talk about a small world! To my right is Pastor Ray. To his right is his dad Allen and his mother J.D. 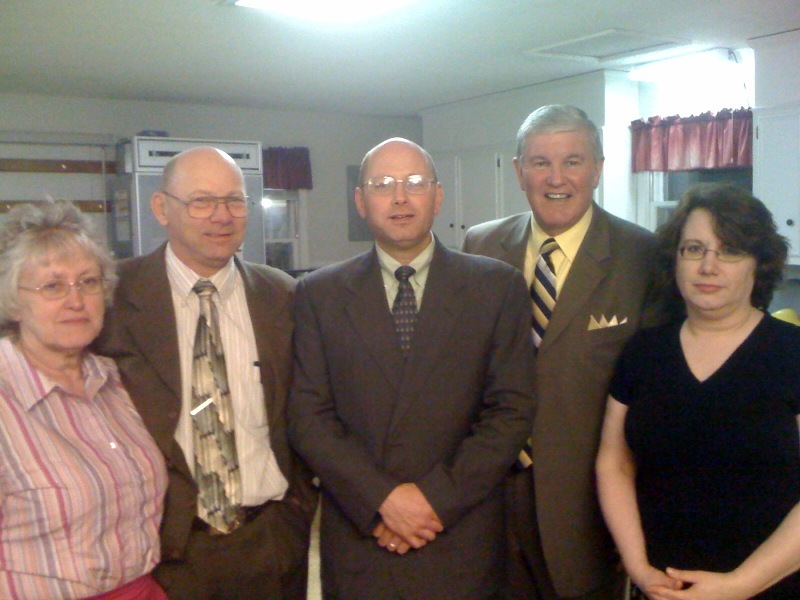 To my left is Pastor Ray’s sister Lynnea Mejia. This is a solid family and love the Lord and the souls of men, women, boys, and girls. I thoroughly enjoyed myself today.